If you want to compete in the B2B industry, video marketing is a requirement. In fact, 85 percent of consumers have said they want to see more video from brands in 2018, and nearly 100 percent of marketers have said that video has helped increase user understanding of their product or service. If those stats don't speak for themselves, I don't know what will. That's why we weren't at all surprised when HubSpot announced the release of their new product, HubSpot Video. Powered in part by Vidyard, HubSpot Video is making it easier than ever for digital marketers to create authentic and engaging video content to incorporate in their sales and marketing strategies. Let's dive into some of the key features of HubSpot Video and how marketers can use these features to their advantage. If you have some experience with video content already, then you know what a hassle it is to shoot the video on a separate camera or device, upload the video to your marketing platform and host it on your web pages, include it in social media posts or embed it within emails. HubSpot video cuts out the middleman, allowing users to create and host video content within their native file manager — that means video content is kept with all of your other marketing assets for easy access and more efficient management. Once you create and host videos within your HubSpot platform, you can then easily embed those videos on HubSpot landing pages, web pages, emails and more. This creates a better, more dynamic user experience at every touch point in your conversion paths and marketing campaigns. Whether users are reading a blog post to better understand their problems, downloading a product brochure to weigh their options or engaging with an email in your nurture stream, embedded videos give them the option to digest content in the way that works best for them. 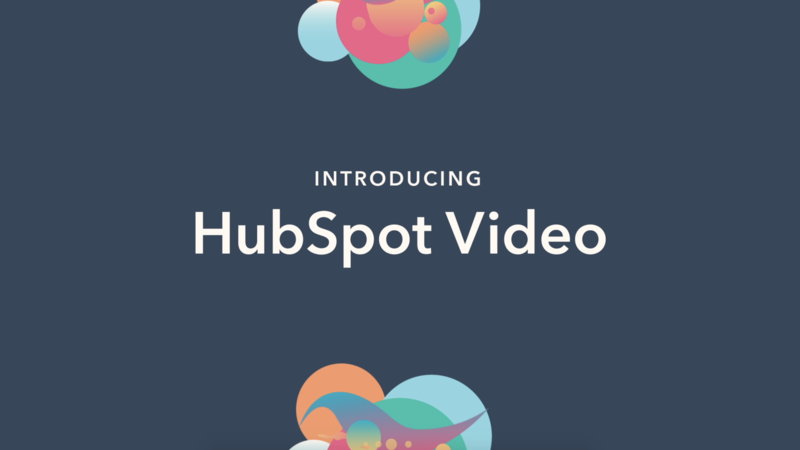 This one's really cool: With Vidyard's added functionality, the HubSpot Video tool allows users to embed calls-to-action and HubSpot forms within the video itself. In-video CTAs and forms offer frictionless conversion points for interested viewers, making it as simple as possible for them to continue on their buyer's journey. What's more? Each form field and click-through maps directly to your HubSpot contact records, so you can easily track the users who converted on video content. At New Breed, we're data fanatics. We believe in the power of a data-driven strategy, and we incorporate data analytics into every aspect of our sales and marketing efforts. That's why we think the most important and exciting feature of HubSpot Video is its comprehensive video analytics capability. HubSpot's video analytics, enabled by Vidyard, allow users to A/B test different video content and measure the attentiveness and engagement of each viewer. With better insight into how prospects are interacting with your video content, you can create more strategic video content that effectively targets your prospects and encourages them to convert. One of the most exciting things about video marketing is that there's room for video content at every stage of the funnel. At the top of the funnel, short, high-level education videos help your prospects gain a better understanding of their challenges. In the middle of the funnel, medium-length content such as case studies and webinars gives prospects the chance to evaluate potential solutions. At the bottom of the funnel, demo videos and live streams help prospects make their final decision. However you use video content, it has the potential to offer an engaging, personalized and more easily digestible experience for your prospects, and it's a great way to differentiate yourself from your competitors. Now that HubSpot Video is making video creation as easy as possible, there's no excuse for ignoring this powerful medium.